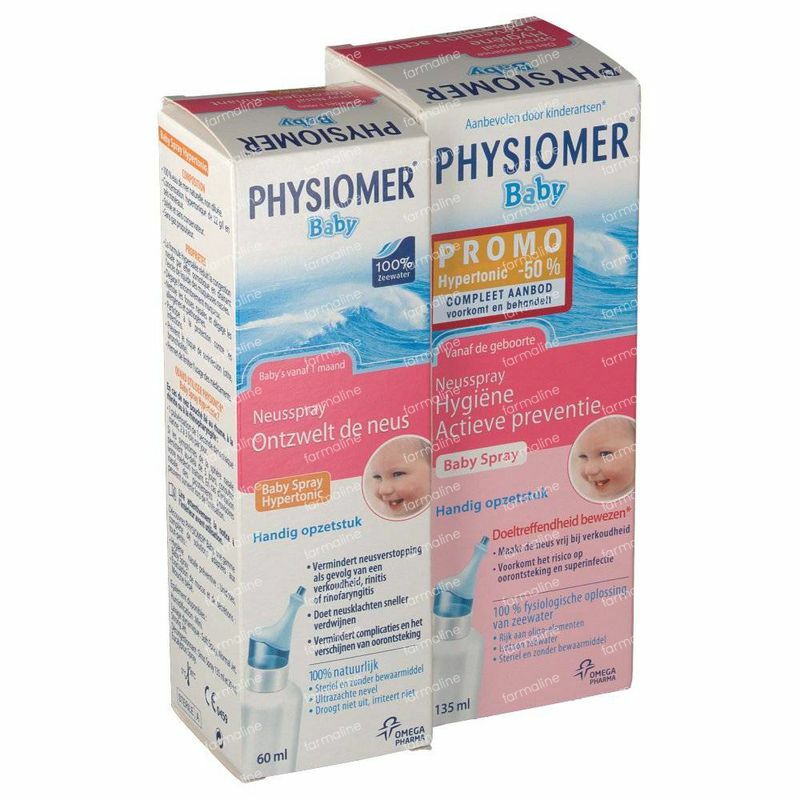 Physiomer Iso Baby Spray + Hypertonic Spray Set 135+60 ml order online. 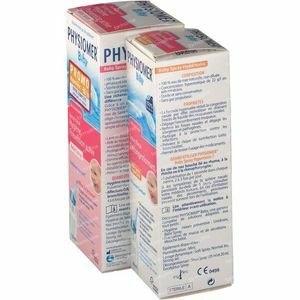 Ultra-filtrated and desalinised natural seawater. 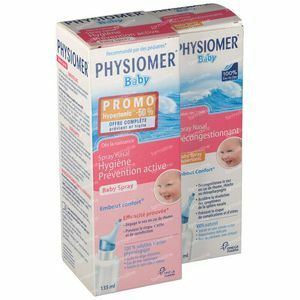 When your baby has a cold, he/she experiences difficulty breathing, sniffs and has trouble eating. 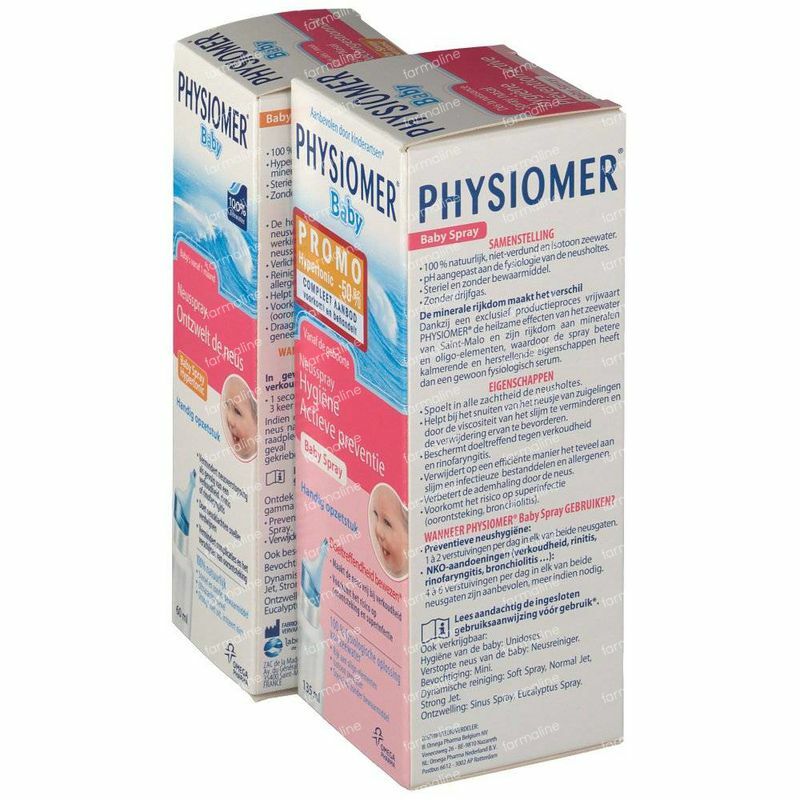 PHYSIOMER Baby Hypertonic relieves your toddler's nasal passages and helps restore breathing, as well as comfort and wellbeing during sleeping and feeding. Nasal cleansing in infants, children and adults. Restore nasal breathing in case of cold, sinusitis and allergies. 1 spray daily in each nostril or as prescribed by physician. 2-4 sprays daily in each nostril or as prescribed by physician. 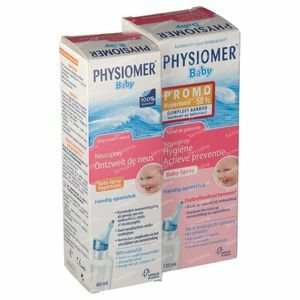 Baby spray for infants from 2 wks old. Gentle jet for adults and children 6 yrs old and above. 1-2 spray daily in each nostril 2-3 times a day followed by nose blowing, or as prescribed by physician. Use only as directed. Caution for storage: To be kept out of the cold at a temperature not exceeding 27 degrees C. Do not reuse an opened dose.